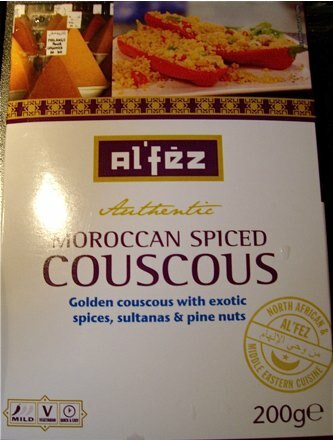 I am not fond of fast solution, but was tempted when I saw a packet marked "Authentic Moroccan spiced couscous" in the shelf at one of the better stocked supermarkets in Oslo. 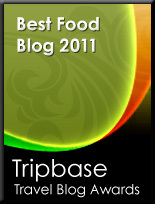 I am happy to say that this product from Al' féz was definitely the exception to the rule. Moroccan cuisine is packed with flavours derived from first class vegetable, meats and a wide range of spices. 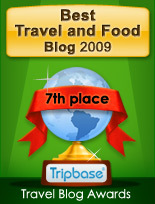 Couscous is one out of two main groups of dishes found there. 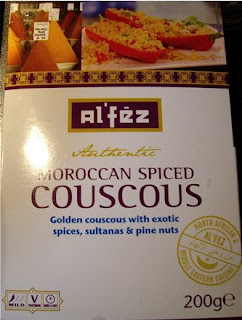 This packet from Al'féz promised exotic spices, sultanas and pine nuts and would, if good, be an excellent base for a tasty meat or vegetable couscous dish. I decided to try, and eliminate, if necessary from the selection of products that promise more than it can deliver. I am happy to say that it did deliver. I blanched finely chopped carrots and onions in butter, added some cooked chicken , poured in the couscous and followed the instructions on the packet just adding water, stirring and leave covered for five minutes. This is definitely something to try again. The semolina granules were perfect, and the sultanas and pine nuts worked well with a pleasant, gentle taste of spices. I had a touch of Morocco in five minutes, but only a touch, as nothing may replace food made from scratch under the warm North African sun.